Top 3 Queensland Destinations to Visit in 2018! Here at Discover Queensland we pride ourselves on being experts in all things Queensland, so we’ve put together a list of the top three Queensland destinations you NEED to visit in 2018! This sleepy seaside village in Tropical North Queensland is a short 20 minute drive from Cairns. The appeal of Palm Cove is its ethereal beauty. You can expect unwavering coastline with powder blue water gently lapping white sand beaches with luscious green palms swaying in the breeze. Most visitors to the region enjoy a laid back vacation based around relaxing, rejuvenating and reconnecting with loved ones. It’s the perfect place to rebalance, enjoy the beauty (with a drink) and spend time with those who matter the most in a postcard setting. However, the destination also lends itself to an action packed holiday riddled with adventure. 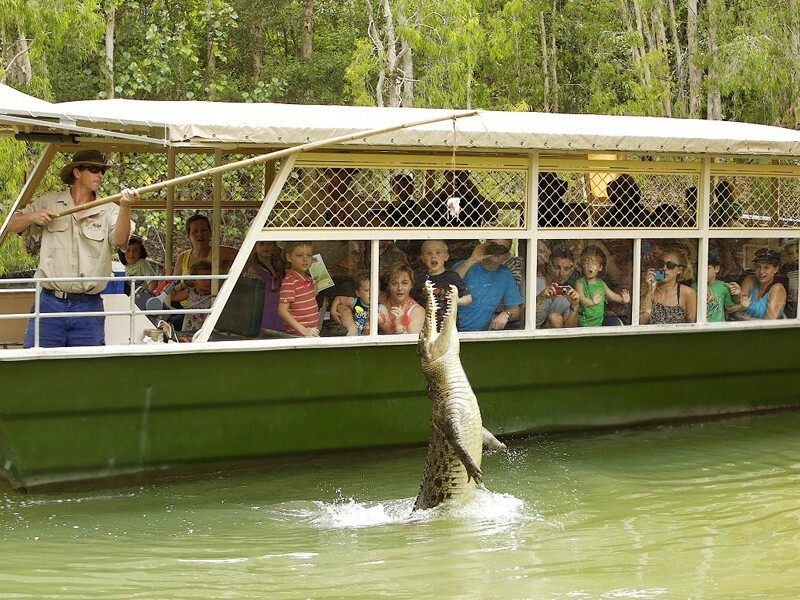 The tropical oasis is located at an intersection of two World Heritage Listed sites, Daintree Rainforest and the Great Barrier Reef both of which offer adventure to no end. One could spent weeks walking through the rainforests, across suspension bridges, up mountains, and through crystal clear swimming holes and waterfalls. Similarly, there are plenty of activities to enjoy on the Great Barrier Reef including scuba diving, snorkelling, helicopter flights, glass bottom boat rides, kayaking trips and more. Our DQ hot tips are to check out Hartleys Crocodile Adventures if you have an affinity for wildlife (especially the exciting species), Kuranda Skyrail if you appreciate rainforest, impressive views, and fantastic scenery, and Paronella Park if you love history, a good story, waterfalls, and a nice lunch. Dining is in no short supply in Palm Cove from casual bars by the beach to Mexican, Thai, Italian and more available in the centre of town. For those with refined taste buds, many of the finer dining options found in the resorts. 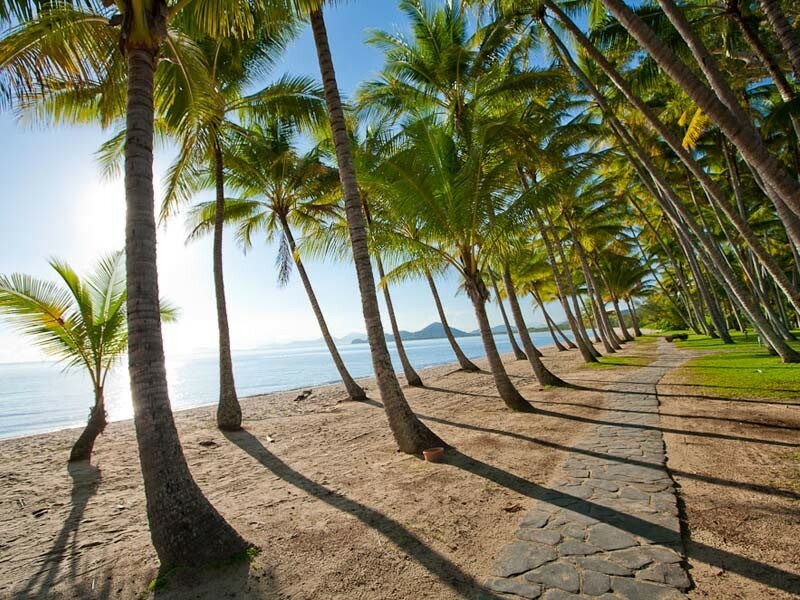 The sheer beauty of Palm Cove is enough for it to make our top three Queensland destinations to visit, so its flexibility between being a relaxing seaside escape and a rollercoaster holiday with reef dives, waterfall hikes, crocodile boat rides and sky rail tours really cements the region as one of our top spots! Check out some of our Palm Cove deals now or call us on 1300 788 553! One of our favourite places, it has the gorgeous beaches, amazing dining, eclectic nightlife, world class events, incredible shopping and everything in between. 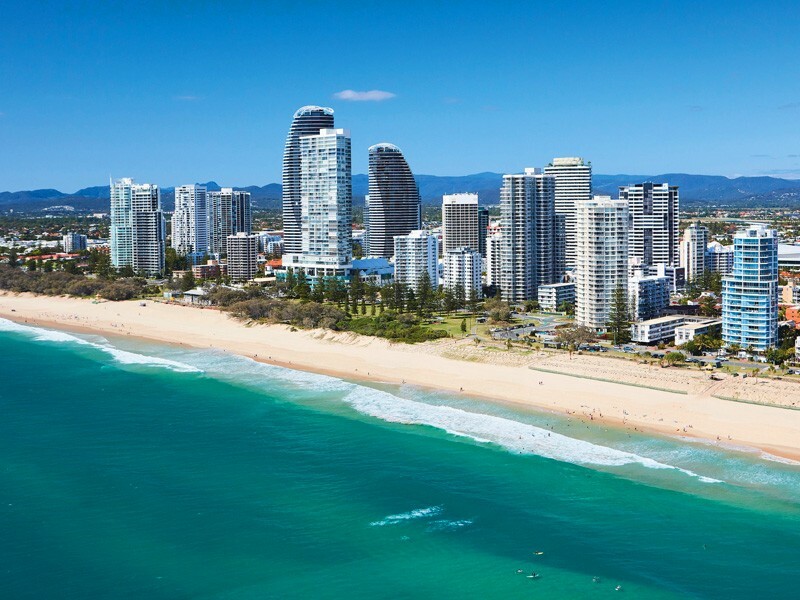 The Gold Coast is famous for beaches and Broadbeach does not disappoint. You can expect golden sand with crashing sapphire waves watched diligently by surf lifesavers, perfect weather pretty much year round, and plenty of spots to lay down a towel and soak up the sunshine. 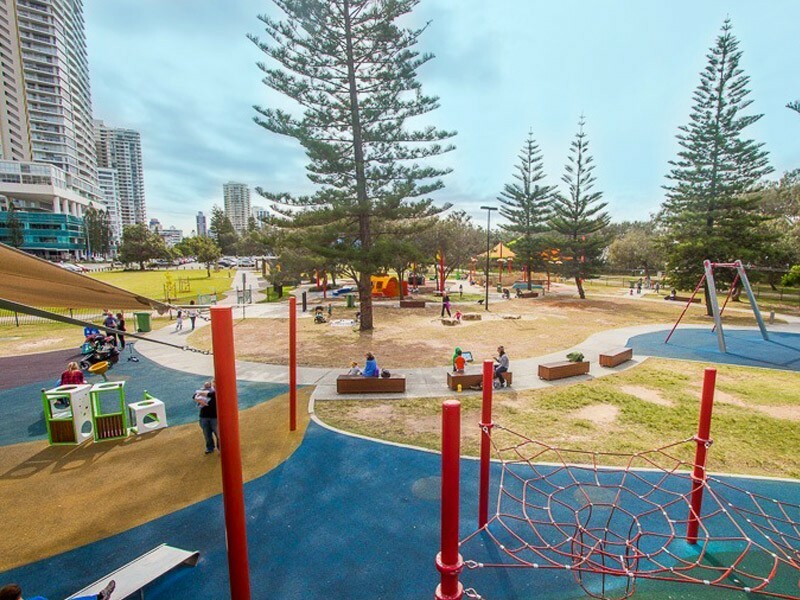 There are also a host of fantastic beach-side parks that offer an impressive array of activities for the little ones from swings to climbing ropes, giant jumping pillows, carousel with harnesses, and mermaid under the sea zones! Once you’ve worn yourself out exploring the natural beauties of Broadbeach you’ll need to refuel. This will be difficult for the simple fact there is a LOT to choose from! From a myriad of surf clubs including the old faithful Broadbeach Surf Club to the famous Kurrawa Surf Club on the beachfront. There are lovely cafes lining the waterfront as well as amazing restaurants in the hub of Broadbeach such as Koi, Loose Moose, Moo Moos, and more. Cardamom Pod is hugely popular among the health conscious, vegetarians, and those who appreciate a good dessert. Speaking of after dining (and lunch) delights, there are many options to treat yourself, with a healthy dose of gelato and ice cream shops. 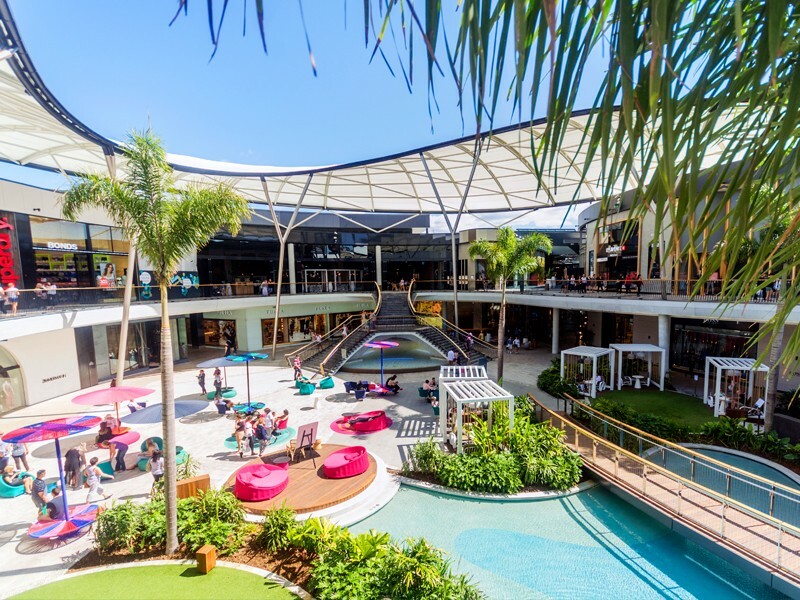 Shopping is another popular pastime for those in Broadbeach, the crème de la crème of shopping resides at the newly renovated Pacific Fair Shopping Centre. This is the largest in Australia, and in our opinion also the most magnificent. The renovation has gone above and beyond with cascading waterfalls, egg chairs, modern landscaping, as well as every genre of store from haute couture such as Bally and Louis Vuitton to majors such as H&M and Sephora to exciting new stores including Culture Kings. Everything you could possibly desire while indulging in retail therapy can be found at Pacific Fair. There is also Oasis Shopping Centre which has undergone an improvement seeing new stores including a Cotton On mega store and new cafés including Elk Espresso and Dragonfly Espresso & Wine Bar being added. It has an exciting atmosphere with the new dining and is a great alternative to Pacific Fair. The centre of Broadbeach is home to the newly renovated Casino, previously known as Jupiters, The Star Gold Coast boasts luxury accommodation, 7 restaurants including the new Garden Bar (a must for those who love alfresco dining) lively bars, and of course a world class 24 hour casino! 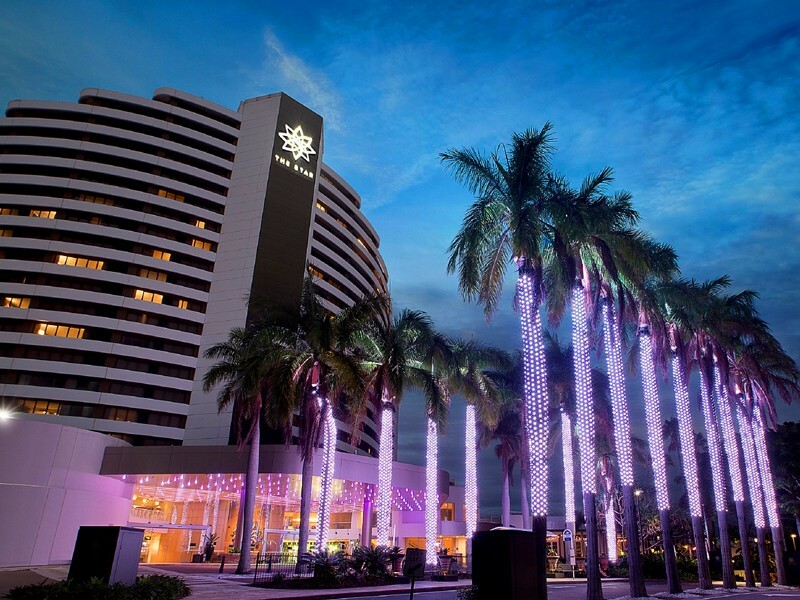 For those who love a good performance Broadbeach is also home to the Gold Coast Convention and Exhibition Centre who host everything from meetings and seminars to concerts that sweep the globe, sporting events, trade shows and more. There’s always something interesting on, so be sure to keep up to date with the events! 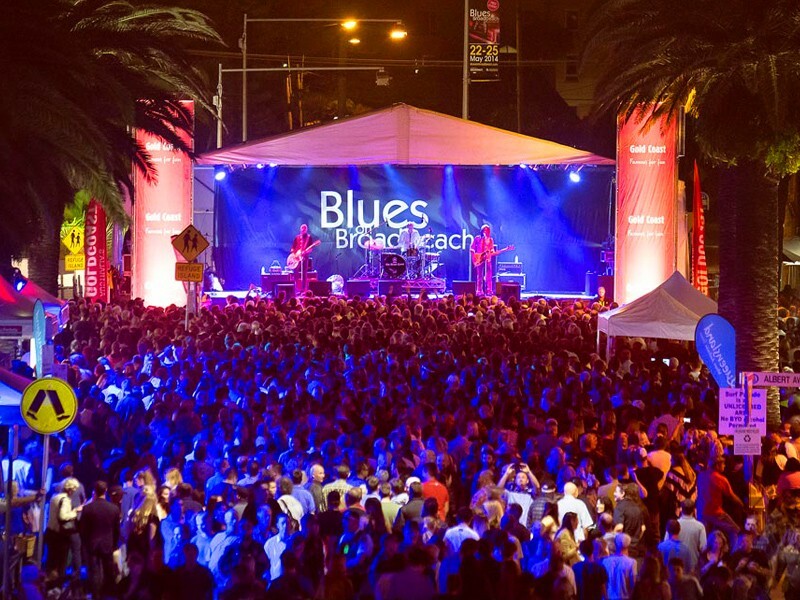 Broadbeach is also host to many of the Gold Coast’s popular festivals, including Blues on Broadbeach, Groundwater Country Music Festival, Gold Coast Superhero Weekend, and the Broadbeach Christmas Carols to name a few. Broadbeach was an easy choice for a list of top Queensland destinations to visit in 2018, especially given the Commonwealth games will be upon the region in April and it will be a hive of activity and excitement! Check out our Broadbeach Accommodation or call us on 1300 788 553 to talk about the perfect spot for you! Twin Waters is the perfect family destination. Nestled between Maroochydore and Mudjimba this secluded spot boasts its own lake peppered with activities for all ages, a patrolled surf beach, a golf course, restaurant, and two amazing accommodation options that both please different demographics. We love the Sebel Twin Waters as it offers luxury 4.5 star accommodation that include self contained apartments that are in high demand for return customers (you know it’s good when guests come back!). Novotel Twin Waters is another fantastic option and has been voted 2nd place winner in Holidays with Kids ‘Best Family Resorts in Australia’ 2013, 2014 and 2015! Twin Waters is a unique destination that offers privacy and protection from the pressure of the outside world and allows you to escape to your own oasis. A holiday here generally means you won’t have to leave the region, as you have restaurants and a kitchen to enjoy meals and dining, plenty of activities, and WiFi to stay connected to loved ones. 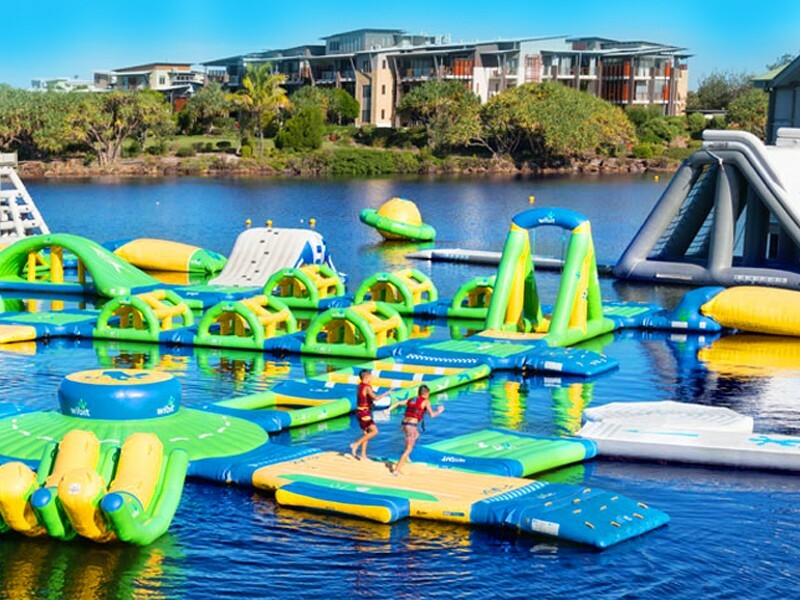 There is a huge inflatable water park based on the lake for guests of all ages to enjoy! Our DQ hot tip is to go for the shortest package first, as playing on and enjoy the giant apparatus is surprisingly exhausting! 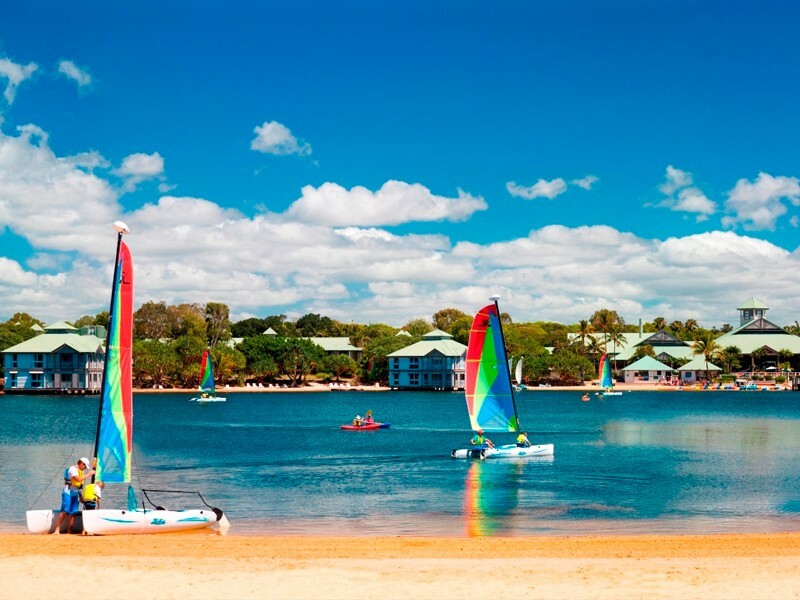 Kayaking, stand up paddle boarding, catamaran sailing, snorkelling, fishing and sand castle competitions are just some of the activities available lake-side. Many of which are free for guests, while others incur a small fee. There is also a kids club so Mum and Dad can enjoy quiet time amongst a family getaway! . For those who love a good wave, Mudjimba Beach is only a 5 minute walk accessible via sandy path direct from the resort to the beach. The beach boasts great waves for body boarding as well as surfing and is patrolled by surf lifesavers. This is a great spot for adults and older kids who are confident in the water. If you wish to explore the region there is plenty close by including Australia Zoo, the Big Pineapple, Eumundi Markets, and of course Hastings Street in Noosa is always a crowd pleaser for a day trip. 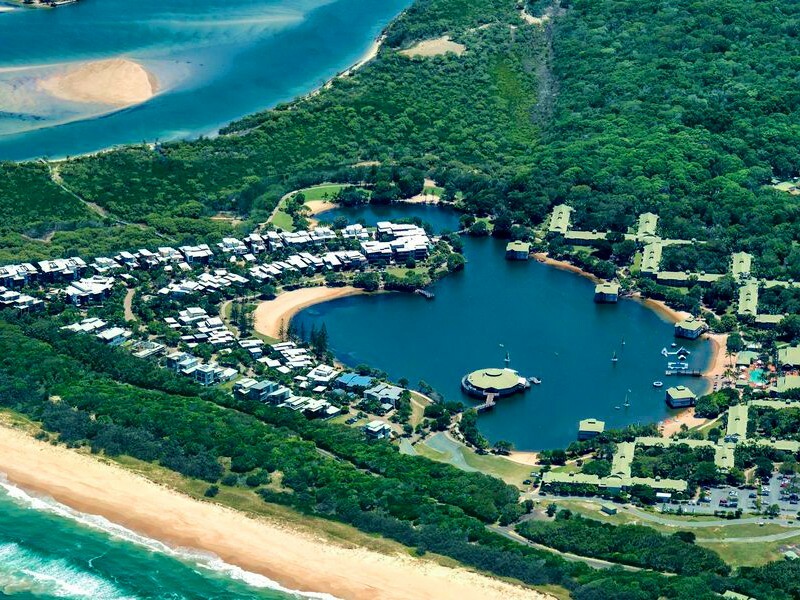 Twin Waters makes our top three Queensland destinations to visit in 2018 because we absolutely love this pairing of AMAZING resort and exceptional natural location. You can turn off your phone and focus on the ones you love the most. Check out Twin Waters now, or call us on 1300 788 553! There you have it folks, the Discover Queensland Top 3 Queensland Destinations to visit in 2018! These are some of our favourites, but we have plenty more up our sleeves, so call us anytime to getaway on a fantastic holiday. We guarantee amazing experiences!